Palma de Mallorca borders on the municipal areas of Algaida (in the east), Calvia and Puigpunyent (in the west), Santa Eugénia, Valldemossa and Esporles (in the north-west), Santa Maria del Camí and Marratxí (in the north-east). Hours of sunshine identify the length of the day, which is so different during the year. The shortest sunny days are in December with around 9 hours of sunshine in average per day, whereas, June is famous with its days full of sun for almost 15 hours. It is useful to find out the exact times for sunset and sunrise to enjoy the spectacular views during these most beautiful parts of the day. Warmest season starts from June and lasts until September with the average daily temperature of 28°C, however, the hottest days are in August. On the other side, cold season is considered to be from November until March where an average daily temperature is around 18°C. Even though almond trees are blooming in February already, the coldest days of the year are in the middle of January. All year round, Mallorca is known for its windy weather. However, the island is sheltered by the mountains that protect it from the Nordic Tramuntana wind. Most often, the wind (in average from 0 m/s up to 7 m/s) comes from the south-west and north-east of the island, and the least of it you can get in the northern and eastern parts. Sea is one of the main attractions for millions of people in Mallorca, welcoming with its amazing beaches and calas. The best time to enjoy the sea is during summer months, when the water temperature goes up to almost 25°C. Only the bravest can swim and dive on the island in winter as the average temperature is 13°C. Being one of the favourite and most attractive European destinations, Palma region combines a perfectly conserved history with many noble palaces and a modern zone. Its residents are pleased with its almost 300 sunny days per year, crystal clear sea and fine sandy beaches. Palma de Mallorca is also popular for its historic and cultural landmarks across the neighborhood. All in all, there are fifty-five courtyards and noble houses, and seven magnificent churches. The Palma international airport is one of the busiest in Europe. Located only 10 minutes from Palma City centre, it enjoys superb schedules to European cities and excellent connections to worldwide flights. It is the gateway to the entire island serving more than 23.1 million visitors a year, thus making it as the third-largest airports in Spain. Palma is one of the unique regions on the Balearic Islands, which mostly attracts foreign residents and property buyers. With its population of around 425,000, it is a truly international city. Foreign residents constitute 16% of the population. Due to this fact, several languages are freely spoken here. Palma de Mallorca property market offers the whole selection of luxurious palaces, country estates, penthouses, townhouses and apartments. Prices here are significantly higher in comparison to Mallorca’s regular. The average price of an apartment hovers around Average price per sqm. in Palma (shop) €4,694 -1% properties#: 718 last change on: 19 Apr 2019 €4,694 per square meter. The price of a house on Palma de Mallorca property market is Average price per sqm. in Palma (shop) €4,694 -1% properties#: 718 last change on: 19 Apr 2019 €4,694 per square meter on average. For investment opportunities, you can expect an average of Average price per sqm. in Palma (shop) €3,714 0% properties#: 113 last change on: 19 Apr 2019 €3,714 per square meter. There is a premium value of properties with highly appreciated sea views. This privileged position raises the average price of an apartments and houses in Palma. The most renowned real estate agencies operating on Palma de Mallorca property market are Balear Invest, Engel & Völkers and Nova. These agencies offer the highest number of listings n the area. Why Palma de Mallorca Property? In the region of Palma, in particular, there are growing numbers of shops in prime locations as well as increasing demand for offices and new residential properties. The most upscale areas of Palma de Mallorca property market, popular among wealthy real estate buyers include the Old Town with its bohemian Santa Catalina square, a trendy yacht port of the most expensive Portixol, and Son Vida estate, situated at the hillside overlooking the city Palma de Mallorca property market range. Santa-Catalina square is the bohemian hotspot of the region. It is famous for its market, modern restaurants and unlimited bars. The fabulous Santa-Catalina market has a wide range of fresh produce. It is a central point of the area and the streets surrounding it offer a variety of unique shops, bars and top-class restaurants. But still, Santa-Catalina is not so touristic comparing to other parts of Palma, making it quite attractive for foreign prime residents. At the same time, Son Vida estate is one more location of the dream properties, offering luxury, privacy and the most picturesque views. 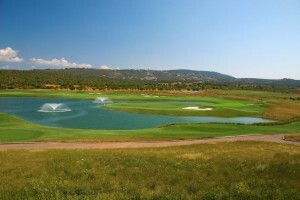 The nearby located great golf courses and two five-star hotels make it one of the most exclusive areas on Mallorca. The delight of the region is its numerous excellent restaurants, tapas bars and street cafés, which are said to be the best on the Balearics Islands. Food enthusiasts will also enjoy tapas and wine tasting routes. The seaside promenade and maritime center of Passeig Maritim is three kilometers in length. It is lined continuously by hotels, apartments, restaurants, bars and clubs. They offer a bulk of after-hours entertainment. It is an exciting place for both locals and visitors alike. Here festivities start early and flow late into the night. Palma de Mallorca boasts a splendid natural balcony over the sea, which stretches for some 20 kilometres from Cas Catala to El Arenal. Its fine sand beaches, five of them awarded blue flags, are linked by the two promenades, the Passeig Maritim and Passeig de Sagrera, which form a single avenue covering the entire city coastline. The biggest port of the region is located in the city of Palma. It is the biggest of five ports on the Balearic Islands. It can accommodate twelve cruise ships at one time. The port together with marina of Palma covers the entire length of the city where super yachts and small boats regularly dock to visit the city or make a short en route stop to other destinations. Here you can also have a cycle path leading to the bay. Bays of Palma host some of the most important regattas in the Mediterranean including The King’s Cup and the SAR Princess Sofia Trophy. Superyacht Cup in Palma, for example, is a spectacular 4-day regatta and is full with yacht owners, their friends, captains and crew from all around the world. Cycling and football are very popular on Mallorca. The Vuelta a Mallorca or ”Tour of Mallorca”, is a world-famous road bicycle race. It is held annually in February around the streets of Palma. Five tennis courts are located in the center of Palma, and tennis lessons are available for bookings all year round. Among the fiestas, one of the most notable ones is ”Nit de Foc” or ”Night of Fire” held in June. During this night locals dressed as demons and evils run throughout the cities with lighted torches, featuring concert and firecrackers display. Palma de Mallorca had always been a favorite destination for Hollywood A-listers and for the Royal family. The King of Spain has two palaces in and around Palma, a city palace – the Palacio de la Almudaina and the Palacio de Marivent on the coast at Cala Major. Prince Rainier and Princess Grace of Monaco had spent their honeymoon in the region. Michael Douglas with Catherine Zeta-Jones, Kate Moss, Tom Cruise, Jennifer Aniston, Jack Nicholson, and the Beckhams are just a few celebrities who have enjoyed the vibrant and relaxing outdoor lifestyle of suburbs of Palma de Mallorca. Our Palma de Mallorca property guide consists of twenty districts from the Old Town and areas around golf clubs to the seaside resorts popular among holidaymakers and prime second-home buyers.